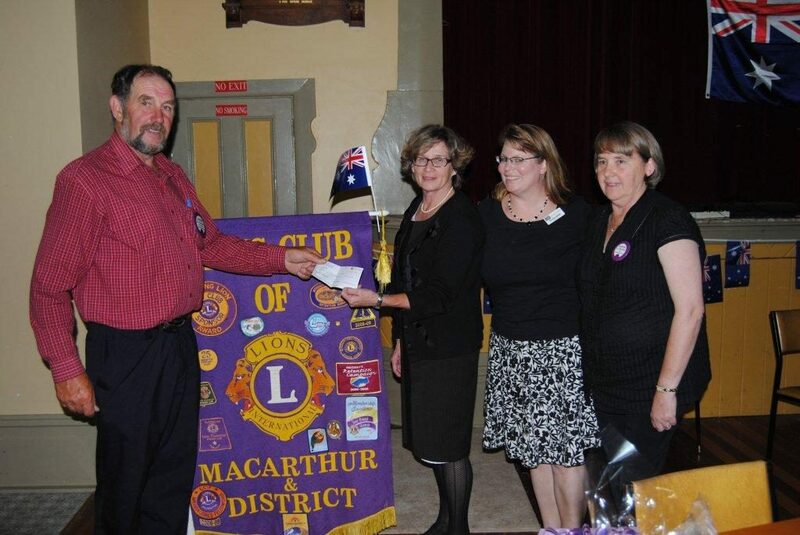 Earlier this year, an invitation was extended to CIKA Vice president, Ellen Webb, to be the guest Speaker at the Australia Day celebration of the Macarthur and District Lions Club. 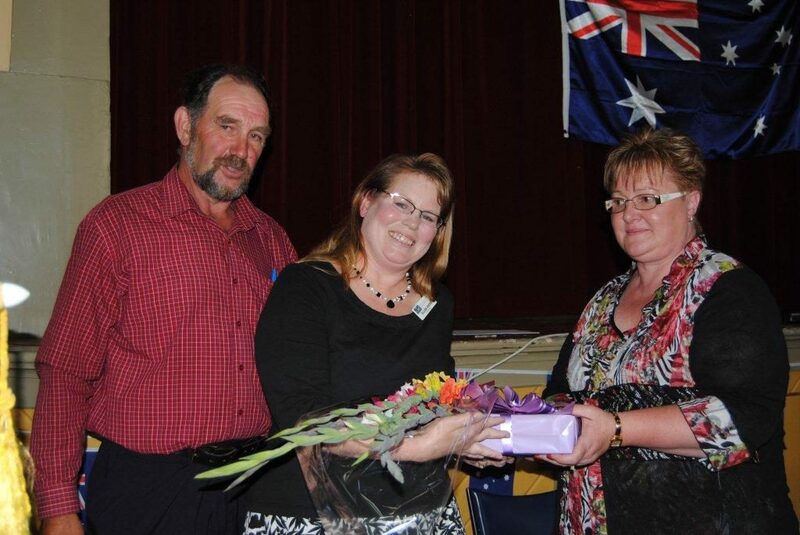 After travelling to Western Victoria, she and CIKA President, Sandra Lehrer, received a very warm welcome from members of the local community who provided a delicious BBQ dinner and supper. Ellen spoke about the work that CIKA has done during the last thirty years, our present commitments and the important part that the community plays in supporting charities like ours. 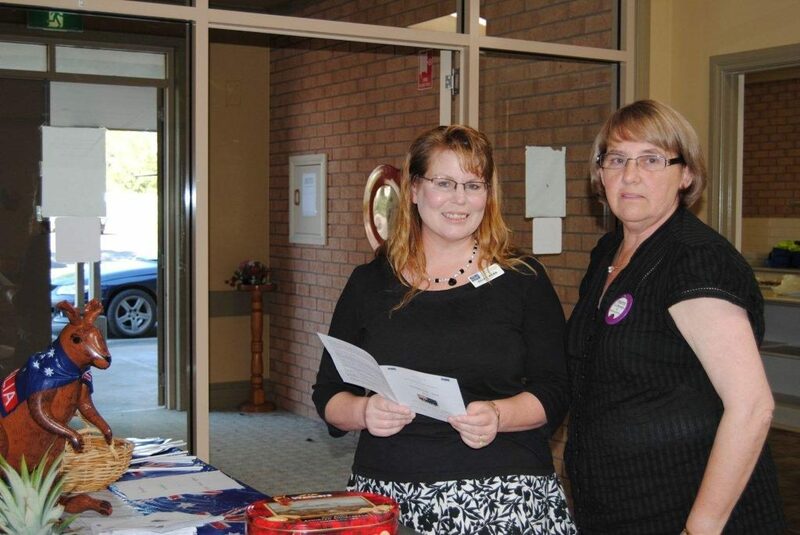 Many of those in attendance give great support to the Royal Children’s Hospital Good Friday appeal each year and the visitors heard many stories about the local connections that so many of the folk have with the RCH. We would like to thank Lions’ President, Andrew Duyvestyn for his warm welcome and to express our appreciation to all those in attendance who gave up their time to find out about the that work we do. Particular thanks are due to the Duyvestyn family who took time out of their busy schedule to make Ellen and Sandra welcome in their home. We are most grateful to Andrew and the Club for the $500 cheque that was presented to Sandra to help CIKA fund its commitment to Research at the RCH.